Are you posting images across social networks? Do you use them to extend your brand recognition? In this article you’ll discover how to make your social profiles and visual content align to reinforce your brand and catch your audience’s eye. 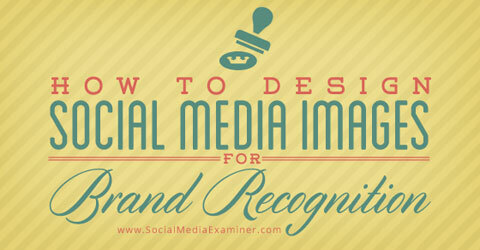 Find tips for branding your social media images. Consistency is a key part of recognition and success. Use your company’s traditional logo or a variation of its design for each of your social profile pictures to maintain online brand recognition. Even if you tweak your logo, your audience should still be able to recognize you immediately. 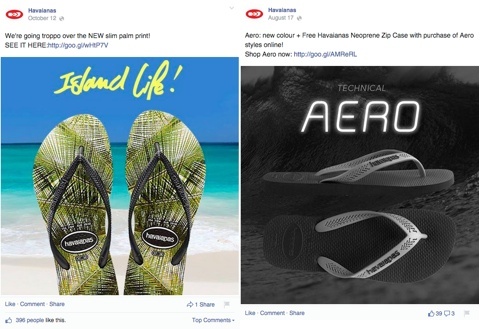 Havaianas experiments with fonts in their Facebook designs. In the example above you can see how lululemon athletica has adapted a version of its standard red logo to match its cover image on Facebook and Twitter. The harmony between your profile and cover photos is anchored by graphic elementssuch as color, text and imagery. Choose a cover photo that complements your profile image—you can use existing marketing materials or create your own. If you create a custom cover image and want to be sure the colors match your profile picture, use a color picker tool to extract the color hex code. A hex codeis a six-digit code that represents an exact color recognized universally by HTML and CSS. When you know your hex code(s), you can use the same colors in your designs over and over again—without variation or guesswork—for a consistent look. If you’re going to include a logo or other icon with your images, create guidelines addressing size and placement. Inconsistent logo sizes or random placement can appear sloppy. 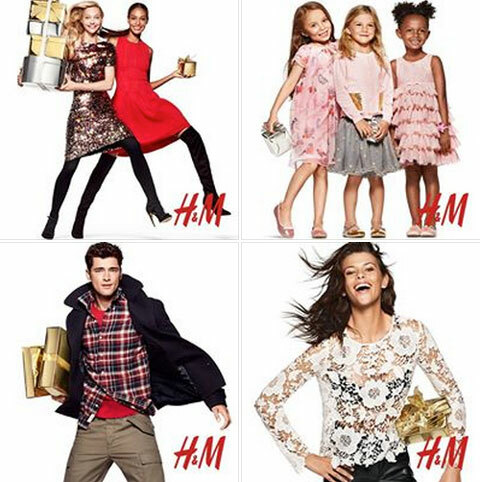 In the picture below you can see that the H&M logo is the same size and in the same place on each photo. That consistency plays a part in their overall brand recognition. Logo placed consistently on H&M Facebook catalog. A quick tip: Never place your logo flush with the edge of your photo. Instead, leave some space (padding) around it to make it look more intentional. Fonts, colors and images are the primary visual elements that determine how people perceive your brand on social media. Different goals require different choices for each element. Fonts range from bold and loud to thin and delicate. Where does your company persona fit on this spectrum? While you should limit yourself to two or three main fonts for the majority of your marketing, you can occasionally afford to break that rule on social media. Havaianas uses creative fonts in Facebook updates to match the theme of their prints and reflect the company’s fun, playful identity. When branding across social media, consistency is key. When choosing colors (and images) for your visual updates, consider what kinds of feelings you want to evoke. For example, are you promoting a contest? Use bright, cheerful colors. Are you posting a staff update? Take a well-lit portrait and include it in a design with your brand colors. Benefit Cosmetics uses feminine imagery and a consistent color palette. 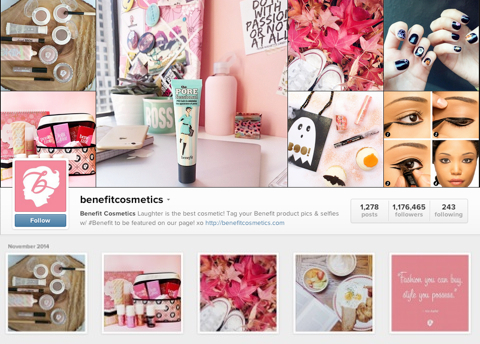 Beauty brand Benefit Cosmetics does a good job of reflecting their feminine identity on Instagram. Note the pink and white palette, simple imagery and use of a playful script font. 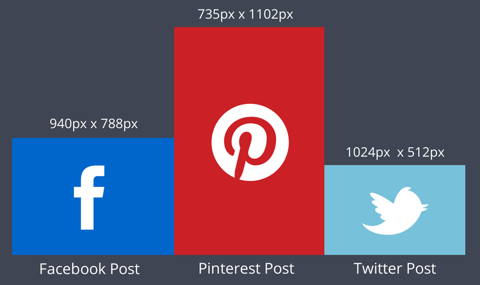 Each social network has its own optimized image dimensions. It can be time-consuming to create individual images for each network every time you want to share visual content. Even creating a single image to share across all platforms can take more time than you’d like. Create image templates that match each social network’s requirements. In the example below San Pellegrino posted a sequence of 10 tips on Instagram. Their simple template made the tips easy to create and instantly recognizable to their audience. Make your life easier by creating templates for different design types. Up to 90% of information transmitted to the brain is visual, so it’s no surprise that people respond well to great design. Using pictures as the focus of your updates is a great opportunity to get creative. When you design your visual content, rely less on words. Let colors, images and backgrounds take on the burden of conveying your message. In the picture below notice how the compelling background image and Twitter icon grab your attention first and work cleverly with the more subtle text call to action. Use icons to replace text in your designs. When you have the perfect picture, sometimes you don’t need to use text overlays at all. Capture your audience’s attention using clever images. 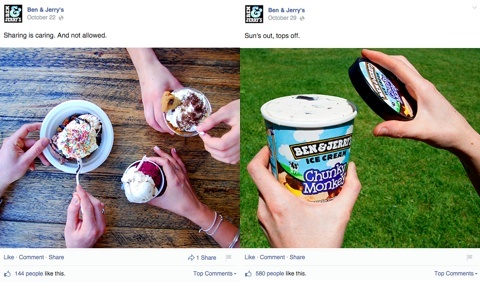 Ben and Jerry’s used fewer than 10 words in their updates and let their product pictures do the talking. With over two billion people active on social media every day, improving how you use visual assets is a powerful way to drive more people to your business. Use consistent fonts and colors and your existing branding to extend your recognition beyond the usual places. No matter where you post, make sure your audience can recognize you immediately. Make the most of your visual assets and enjoy creating beautiful designs. The social media race is on, and design is your express ticket to the finish line.